Cheesemaking was a thriving industry until Henry VIII issued his famous edict in the late 1530s, closing all the monasteries so that he could assume control of the English Church and at the same time, achieve his goal of marrying Ann Boleyn without the permission of the Pope in Rome. As a result, cheesemaking went into a serious decline until the 17th c. when more modern cheesemaking practices began to develop with the advent of new and bigger market towns and cities. Larger dairies and creameries began to appear to supply the populace. Inevitably, local artisanal cheesemaking declined. By the 20th century, the number of small cheesemakers had dropped alarmingly. Then World Wars I and II completed the near annihilation of the British artisanal cheese industry. Britain owes its Cheesemaking Renaissance to one man - Patrick Rance. In 1973 he began his Campaign for Real Cheese when he wrote The Great British Cheese Book. He lectured - he taught - he exerted a HUGE influence as the Champion of Cheese. As a result, the latter half of the 20th c. in Britain saw a grand artisanal cheese revival, just as was also experienced in the United States. 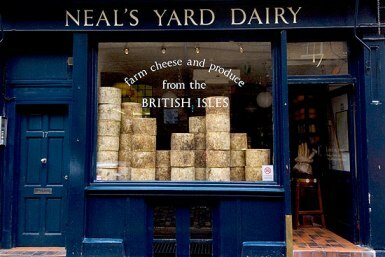 The other very important influence on the revival of artisanal cheeses was the founding of Neal's Yard Dairy by Nicolas Saunders in 1979. There are really 6 true classics: Farmhouse Cheddars, Cheshire, Caerphilly, Double Gloucester, Lancashire and Stilton (the King of them all!). 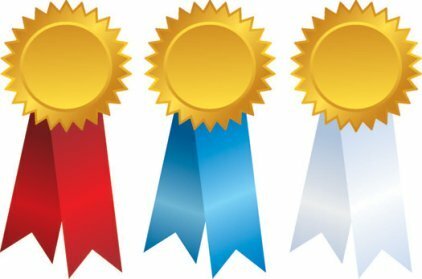 And among these, naturally there are some real stand-outs, best-of-breed names to try. Let's learn more about British Farmhouse Cheddars. How about some supremely satisfying Stilton cheese or does some Cheshire cheese tickle your fancy? If you're in the West Country look out for the distinctive truckle that is the Denhay Dorset Drum Cheddar. Of course there are also many other notable cheeses, from Ireland, Scotland, England and Wales. Well worth finding and trying are Stinking Bishop, Ticklemore, Slack Ma Girdle and Beenleigh Blue. 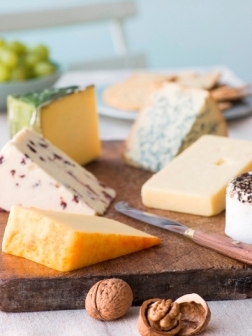 A challenge for many cheese lovers is the question of what beverage to pair with cheese - what wines, ales or ciders are best to pair with British Cheeses. Read about the Yorkshire Food Finder company, which organizes Cheese and Cider Pairing trips. Read about the Blue Cheese Relaunch by Shepherds Purse for Alex James.